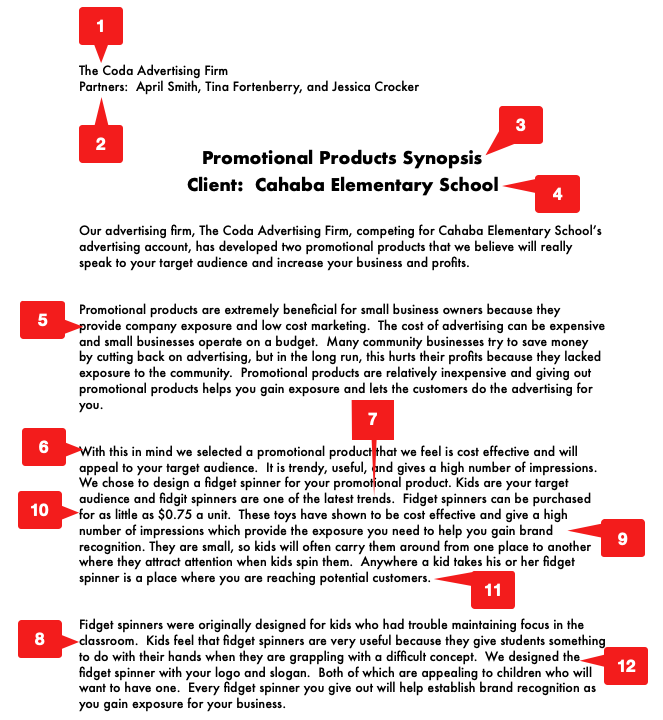 How do you design the most beneficial promotional products for a client? Since we are starting to run low on time, you will not do an online discussion today. Instead you will jump right in by reviewing the slideshow below with your partner or group. The slideshow will help you understand promotional items and why they are used. Please read all of this information! You will use information from this slideshow in your Promotional Product Synopsis! You now know why companies use promotional products, but how do you identify the right promotional product for your client. With your partner or group, go over the slideshow below. In this slideshow, you will learn about things to consider when choosing a promotional product for your client. Please read all of this information! 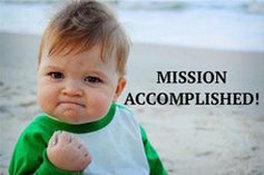 ​You will use information from this slideshow in your Promotional Product Synopsis! The icon below is for a dealer that sells promotional items to advertisers and companies. 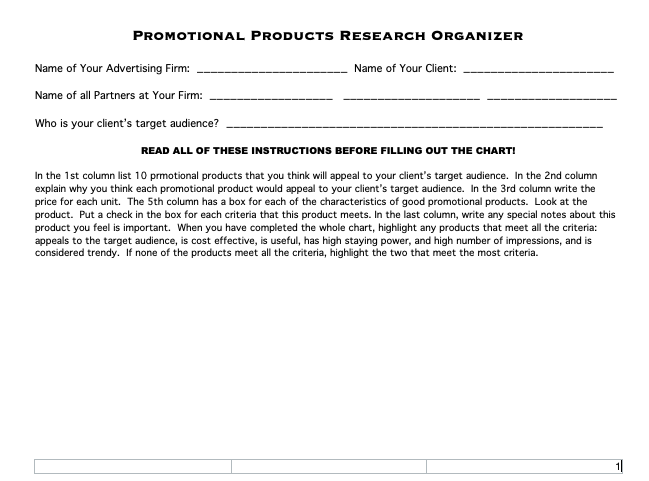 Use this site to get ideas for promotional products and find prices per unit to fill out the graphic organizer above. You will use your knowledge about your client to decide what promotional items you want to create for your client. Remember you will have to do a synopsis on why you thought this promotional item would be the best advertiser for your client. 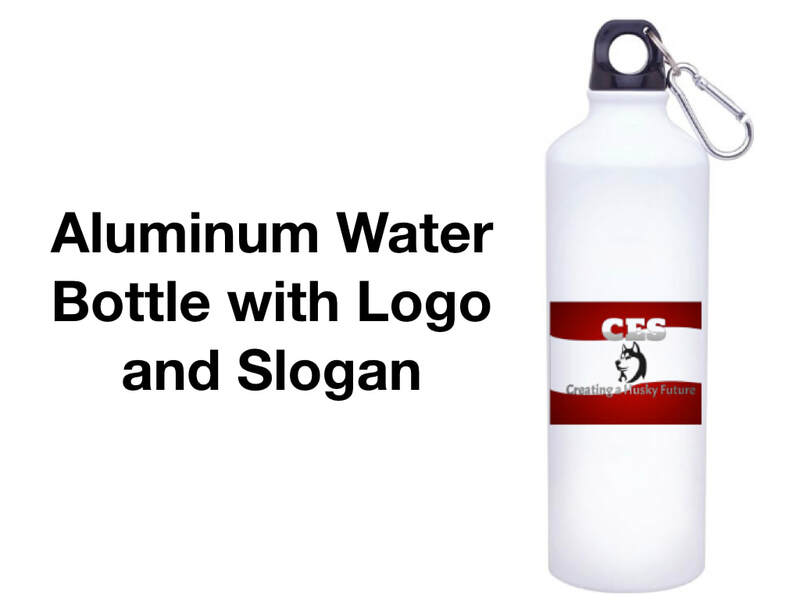 Decide on two promotional items that you would like to create for your client. The instructions are on the graphic organizer. 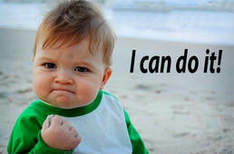 Click on the icon now and get started. At this point, you know what a promotional product is. You know why they are used. You know the characteristics of good promotional products, and you have selected two products that meet your client's needs. Now, it is time to select one from the two you like the best and design it. ​You will need to design your product using the logo, the slogan, both the logo and the slogan, or variations of your logo or slogan. It must be in the same "theme" and advertising style in which you have created your other items. You are not required to use one specific tool to create these. 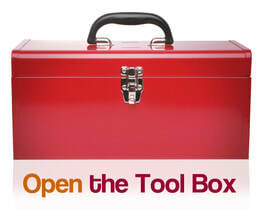 You can use one tool of your choice or combine multiple tools to design the promotional product. I have provided you with some ideas below. You will be designing your client's promotional product based on the logo and slogan you designed for them. You should maintain the basic colors and themes used in your logos and slogans but can create variations of them. The pictures below describe how I used the logo and/or slogan in each promotional product, as well as the tools I used to create it. You do not have to use these tools, but I wanted you to have a starting point for creating with your choice of tools. When you complete your design, please either share it with me. If you choose something other than Google Drawings, you will send it as an email attachment to me. You can also send it through aprilsmith.org on the contact me page. This was one of the simplest promotional items to create. I found the water bottle on SWAG.com This site has a design lab where you can upload your own pictures to the item. I uploaded my slogan design that I made in Google Drawings. Using the design lab, I positioned the slogan on the bottle. Then I took a screen shot. Screenshots save to your Google Drive. One thing to keep in mind about using the design lab is that many of these promotional products will have a color limit in the SWAG.com design lab. While on a product at SWAG.com, look on the right next to the picture of the product. If it says 5 color limit or 3 color limit, that means you can only have that many colors in whatever you are uploading. You will more than likely have to go back and alter your logo or slogan image in Google Drawings if you used a gradient color or more than the color limit. 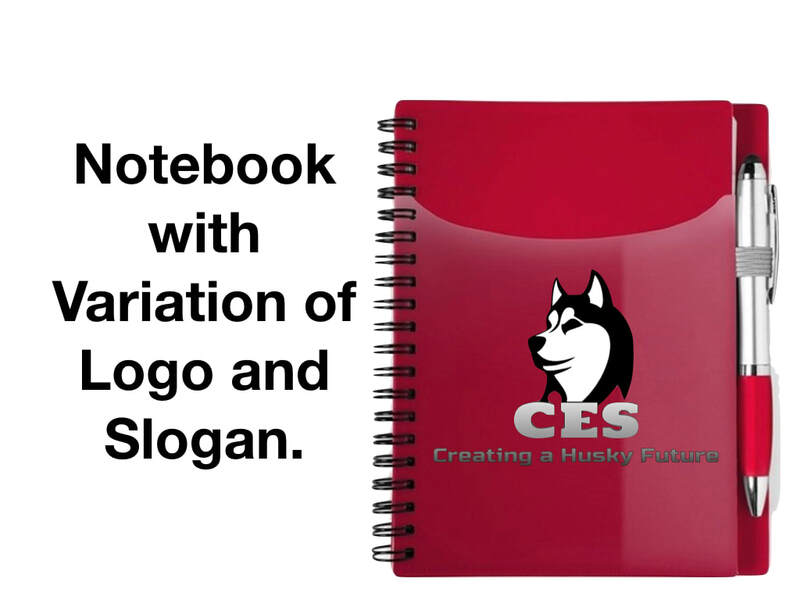 ALWAYS MAKE A COPY OF YOUR LOGO OR SLOGAN IF YOU WANT TO CHANGE IT OR USE ONLY PORTIONS OF IT ON A PROMOTIONAL PRODUCT TO AVOID MESSING UP YOUR ORIGINAL LOGO OR SLOGAN! This was slightly harder to create, but still relatively easy. I started with an alteration to my slogan. I went to Google Drive. I opened the Google Drawing document of my slogan. I made a copy of this document, so that if I messed up, I would not alter my original slogan. I removed the background color and inserted a shape (the circle in the back). I chose the same gradient red for the circle that I had on the rectangular version of the slogan. 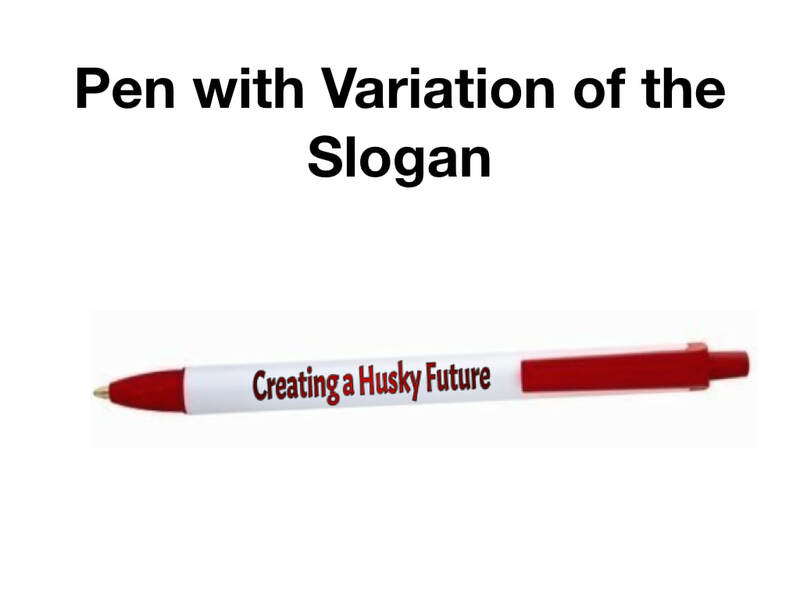 I adjusted my white wave, CES, husky, and slogan on the circle. Finally, I went to file and selected download as a png. (translucent background) This downloads to your Google Drive. After altering the image, I went to AnyPromo.com and found a fidget spinner. I screen shot a picture of it. Then I went back to my Google Drive and opened a new Google Drawing. I inserted the picture of the fidget spinner. Then I inserted the png of my logo on top of the circular portion of the fidget spinner. I created the pen in the same way that I created the fidget spinner, but I wanted to bring out one point about it. The slogan was created by choosing a font in Google Drawings and then from the insert tab, I scrolled down to word art. This allows you to type in text and it creates the colored in effect that you see on the words of the pen. 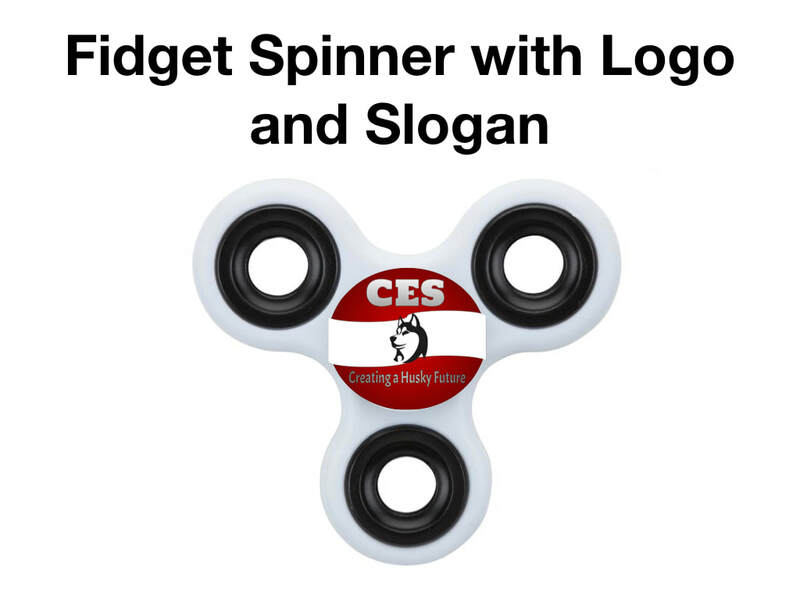 For this product, I uploaded the altered slogan that I created with the fidget spinner into the design lab at SWAG.com. Then I followed the same steps as I did when making the water bottle. 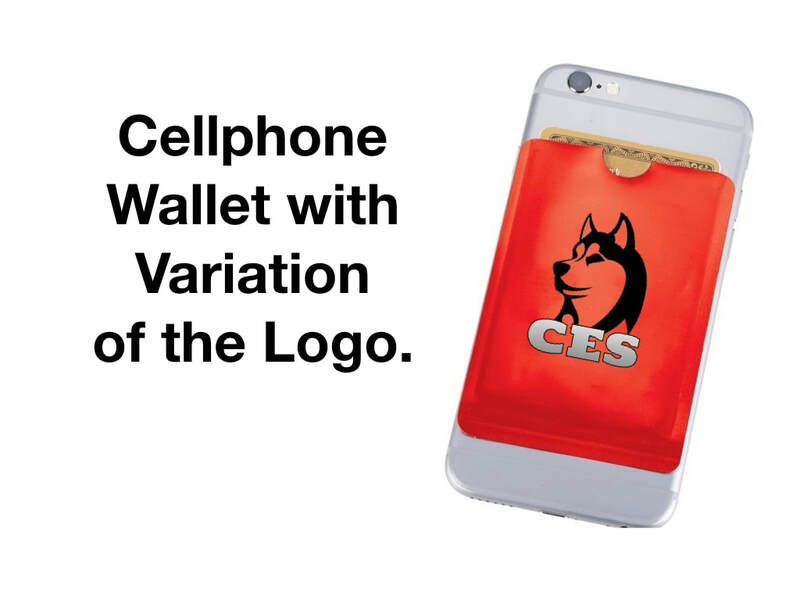 For this cellphone wallet, I went to my Google Drive and pulled up my logo in Google Drawings. I made a copy so, I did not mess up my original logo. On the copy, I removed the white background and downloaded the logo from the file tab as a png (translucent background). This downloads to your Google Drive. I then used the same steps as I did making the fidget spinner. After taking a screen shot of the cellphone wallet at AnyPromo.com, I opened up another Google Drawing, inserted the cellphone wallet snapshot, inserted the logo png, and then rotated and layered it on top of the wallet. For this notebook I used the same steps as I did with the Cellphone Wallet, but instead of inserting my png logo, I downloaded my logo as an image (jpeg) and inserted it on top of the notebook in a new Google Drawing. With the cellphone wallet and notebook side by side, you can see the difference in .pngs and .jpegs. Pngs made the white areas of the logo see through, but the .jpeg kept the white. Knowing when to download as a .png and when to download as a .jpeg will really help you get a nice, contrasting effect with colors in your client's logo and slogan theme. Don't forget to share your designs with me. The name of your advertising firm is at the top. The names of all the partners at your advertising firm is under the firm name. The title of your synopsis is centered at the top of the page. The name of your client's business is under your synopsis title. ​Explain at least two reasons your client needs a promotional product from the slideshow in Activity 1, "Promotional Products." State which promotional product, you chose for your client. Explain why you feel this product will be trendy or appealing to your client's target audience. Explain how the product is useful. Describe how the item you chose has either staying power or a high number of impressions. State the cost of the item per unit. Justify the cost of the item that you chose by explaining how purchasing this product to give away will actually increase their profits. 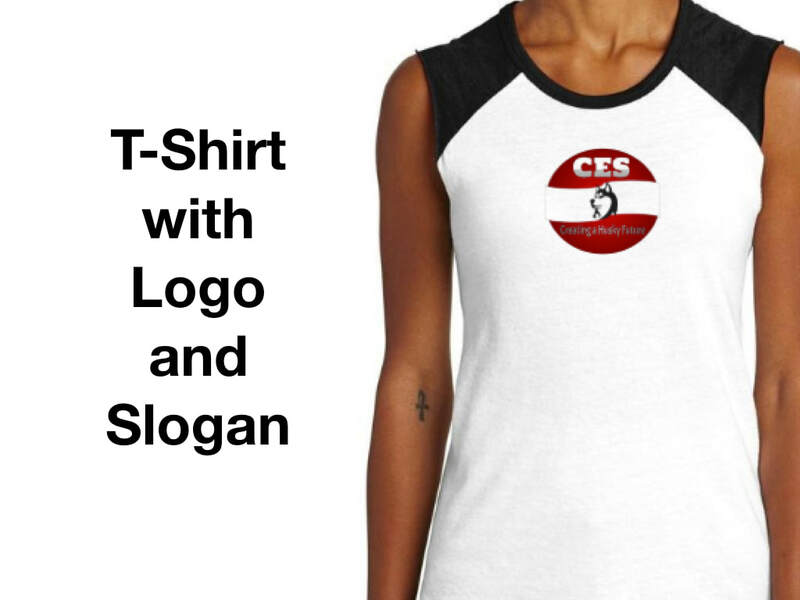 Discuss how the logo, slogan, or both were used in the design. Don't Forget to Share Your Synopsis With Me! Are you on track in Next Top Firm? The following items should be turned in so far as part of your presentation portfolio to your client. I can explain the purpose of promotional products. I can explain the benefits of using promotional products. I can design the most beneficial promotional products for my client.